Hawaiʻiʻs economy grew at a slower pace than the average for the country in the first three quarters of last year and is projected to be unchanged for the fourth quarter. Meanwhile, signs point to slower growth for the state over the next several years. The latest economic growh report, released today by the state Department of Business, Economic Development and Tourism (DBEDT), shows the state economy expanded by 0.7 percent from January to September, lower than the 2.8 percent for the U.S. average over the same time period. 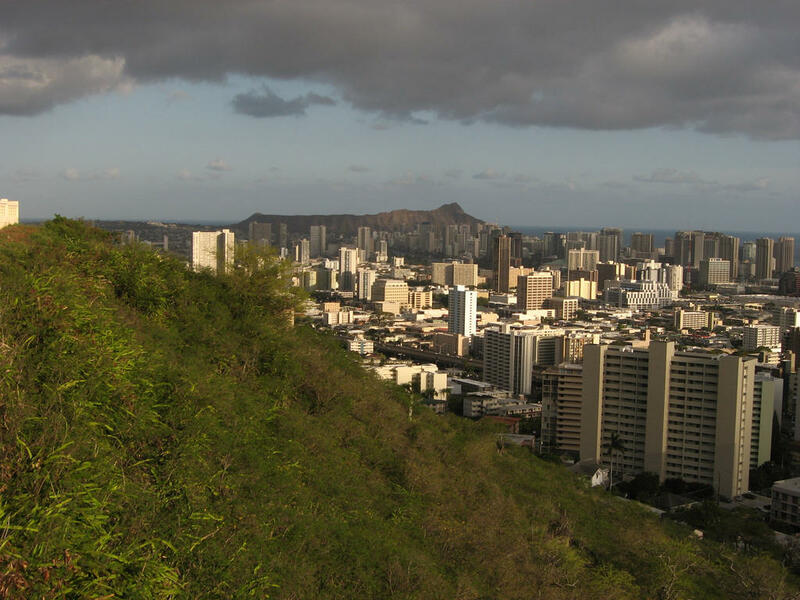 "Hawaiiʻs economic growth rates will be lower than the nation in the next few years," the department said in releasing its report. It projected final growth of 1 percent for 2018 and 1.2 percent for 2019. Still, Mike McCartney, appointed by Gov. David Ige to serve as DBEDT director, said tourism, construction and healthcare are expected to do well this year. "These industries have been the driving force for Hawaii's economy in the current business cycle," he said. Total visitor arrivals reached 9.95 million in 2018, according to preliminary numbers from the Hawaii Tourism Authority, and are projected to reach over 10 million this year. Visitors spent an estimated $18 billion last year and that sum is expected to grow to $18.5 billion in 2019. In January, arrivals increased by 3 percent while spending dropped 3.8 percent. Nonetheless, economists project spending for 2019 will be up by 3.3 percent, although lower than the 4.2 percent projected in the department's last forecast. The construction sector, fueled by state government spending, has been showing strength. State government spending on capital improvement projects reached $1.6 billion in 2018, the highest since data were collected in 1990. That compares to the average state CIP spending of $1.2 billion between 2009 and 2018, said Chief State Economist Eugene Tian. "State government has been playing an important role in the construction industry," Tian said. A total of 2,604 single-family homes were approved in the state last year, the highest number since 2009. Multiple family units reached 2,201 in 2018, the highest since 2006. Latest unemployment data from the U.S. Bureau of Labor Statistics shows Hawaiʻi recorded a jobless rate of 2.4 percent in 2018, not seasonally adjusted and the lowest jobless rate in the nation. It's the second consecutive year that the state ranked the lowest. But the positive news was tempered by the department forecasts for slower growth in the visitor industry in coming years. Arrivals are projected to grow at 2 percent for 2019, 1.9 in 2020, 1.7 percent for 2021 and 1.4 percent for 2022. Unemployment rates are projected to edge upward to 2.7 percent for 2019 and increase to 3.6 percent by 2022.